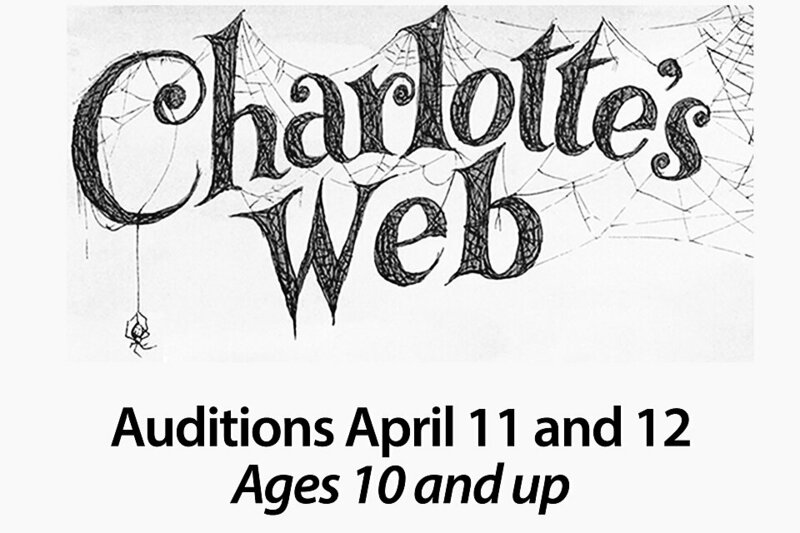 The 4th Story Theater ministry will present Charlotte’s Web in June and needs actors and actresses to make it happen! Auditions for children ages 10 and up will be held on April 11 from 1 to 3 p.m. and April 12 from 2 to 4 p.m. in the 4th Story Theater. The show will be directed by Hannah Fletcher-Page, and rehearsals begin April 28 on Tuesdays, Wednesdays, and Thursdays. Please contact Martha Ann Pilcher at maspilcher@bellsouth.net to signup for an audition spot. Children should be prepared with a short memorized piece to perform at auditions. It can be a poem or monologue or even a piece of literature 30 seconds to a minute in length.